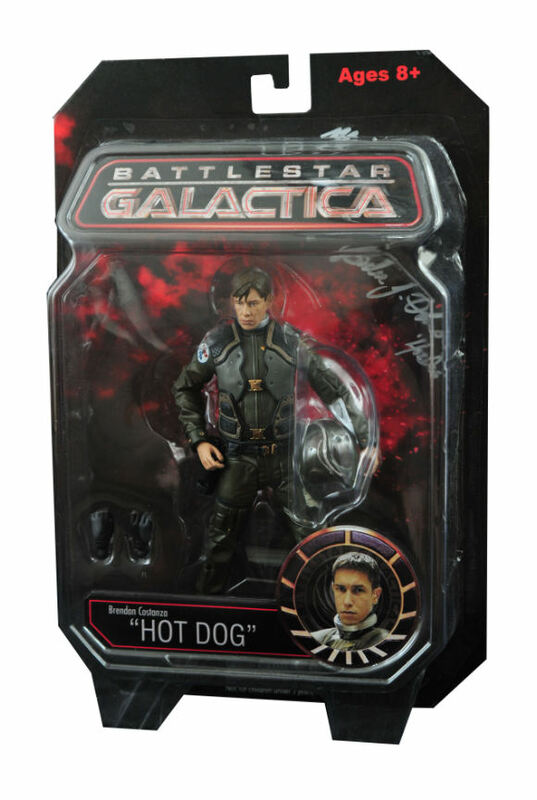 Why are Battlestar Galactica Action Figures So Hard to Find? 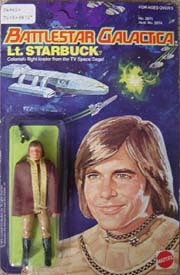 My Battlestar Galactica Action Figures were some of the first that I ever bought. 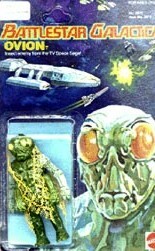 I was about 13-14 when the TV Series was popular in the UK and I had to save my pocket weeks. 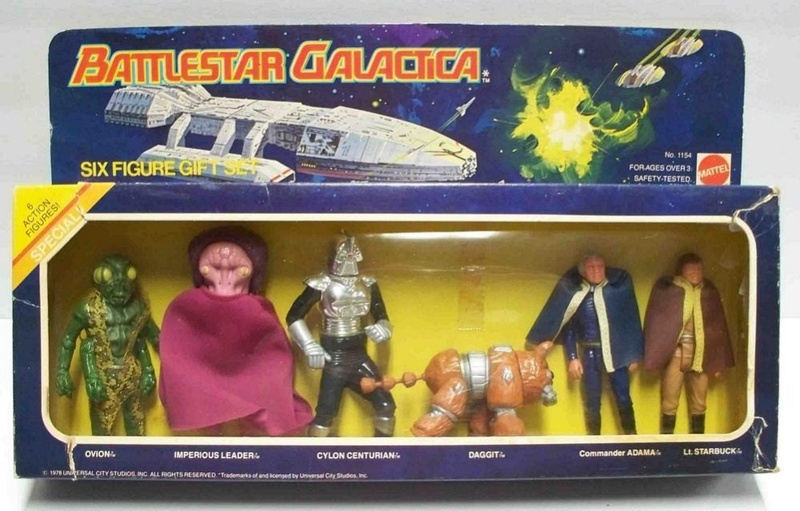 Mattel’s original line of Battlestar Galactica action figures was released in 1978 and consisted of Starbuck, Adama, Daggit (the robot dog), two Cylons (silver and gold), Lucifer, Boltar, Boray (a pig headed creature), Ovion (a fly-like alien) and the Imperious Leader (a rather dull pink alien). 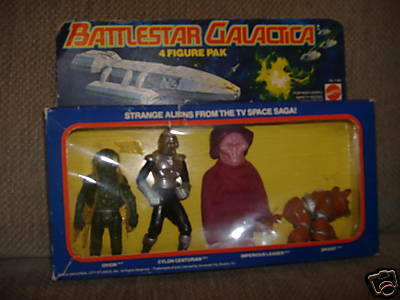 These figures weren’t up to the standard and quality of the Kenner Star Wars figures, however over the course of time, and particularly since the start of the new “re-imagined” series has resulted in a resurgence of interest in new Battlestar Galactica figures and merchandising as well as stimulating the market in the old vintage Mattel figures, which can still be found at very reasonable prices. 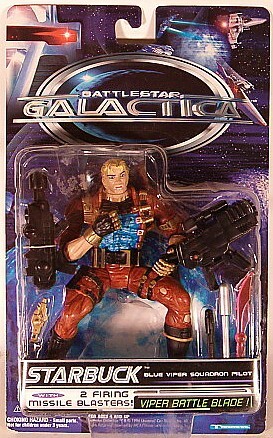 The first series of Battlestar Galactica action figures was sold in 6 and 4 figure gift sets as well as the regular individual blister packs. 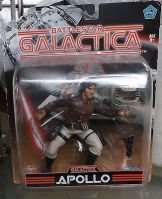 Sidenote: With these of Battlestar Galactica action figures, as is often the case with older figures, it is the weapons and accessories that prove to be the most difficult to find, although the figures themselves are relatively easy to acquire. 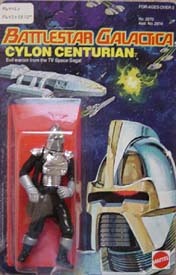 In 1979 Mattel released two 12-inch Battlestar Galactica action figures, a Colonial Warrior figure and Cylon Centurion Figure. 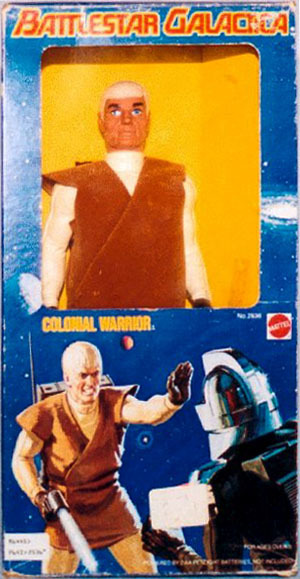 The Colonial Warrior was based on the original mold from Mattel's Major Matt Mason's Captain Laser figure and came with a laser beam, scanner device and Arial and the Cylon had the added bonus of a manually operated moving red eye and glowing chest. 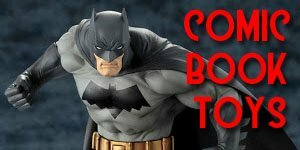 Both these figures have become extremely hard to find in mint condition with their boxes intact, so are worth keeping a look out for. 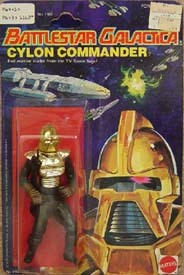 Later, in 1980, Mattel also introduced a limited edition mail away Gold Cylon offer, in which you had to send in four proofs of purchase from any of the four figures in the series to get. 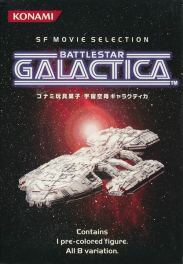 Mattel also produced five Battlestar Galactica ships, three which were based on ships featured in the show, and two made up ones. 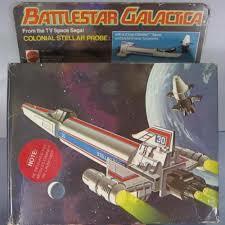 These were a Colonial Viper, Cylon Raider, Colonial Landram, Stellar Probe, and Scarab. 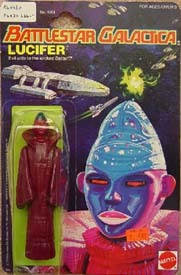 Initially each of these came with missiles that could be fired but after a child died from swallowing one they were replaced, so the earlier figures have become somewhat of a rarity. 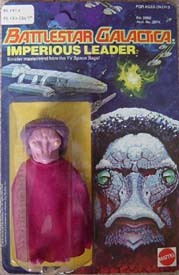 The Colonial Viper was one of the best models that Mattel released and looked exactly like it did in the show and came with a small 2" viper pilot figure. 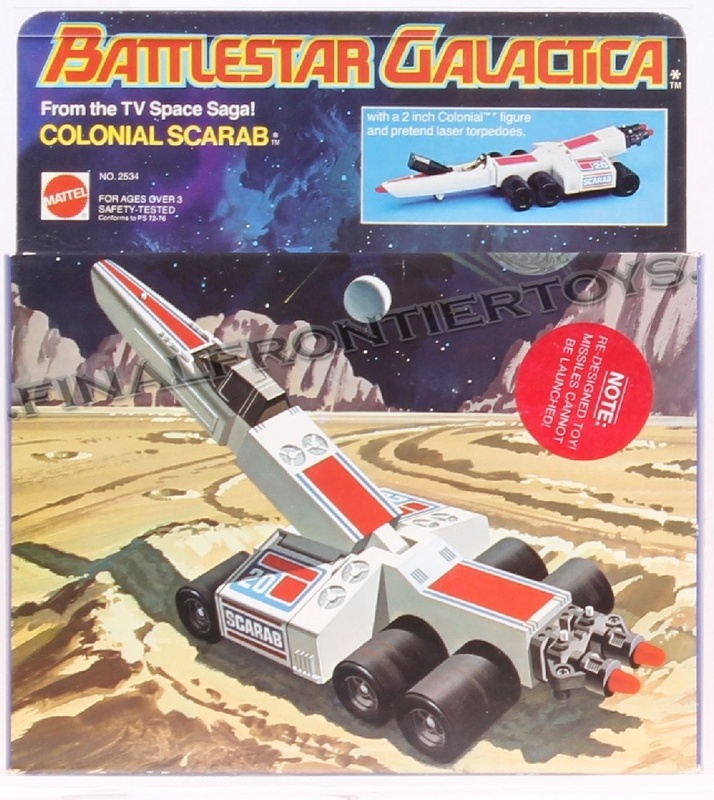 The Scarab was one of Mattel's "made up" vehicles and was never actually featured in the series. 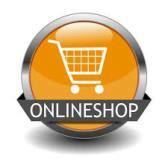 It came in 3 main parts, the command module, drive section and rocket launcher. 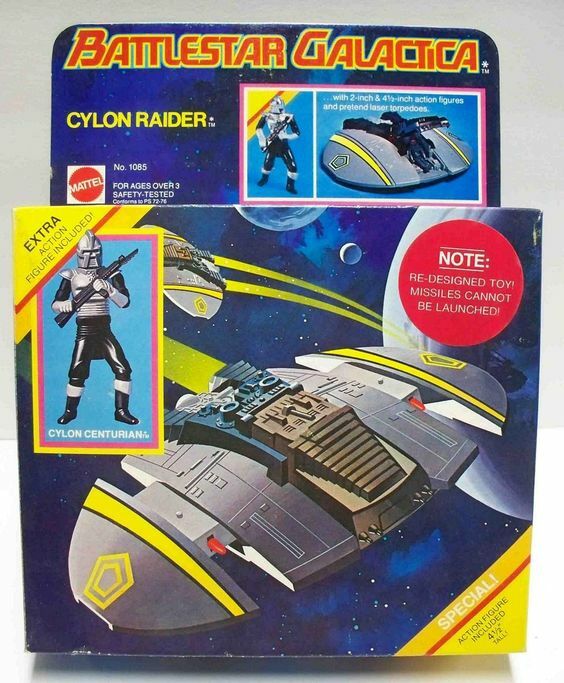 The instruction sheet also wrongly labeled the figure that came with these vehicles as a Cylon. 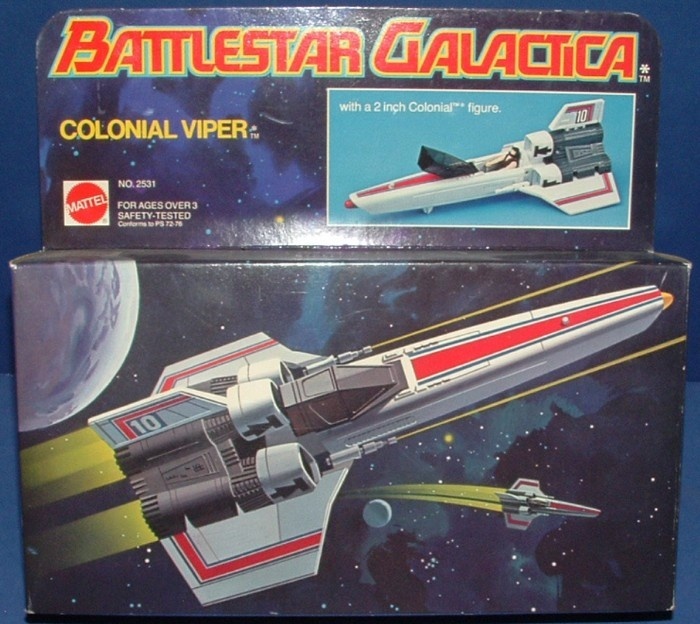 Another vehicle released by Mattel that had nothing to do with the show was the Colonial Stellar Probe 30 which was based very loosely on the Colonial viper. 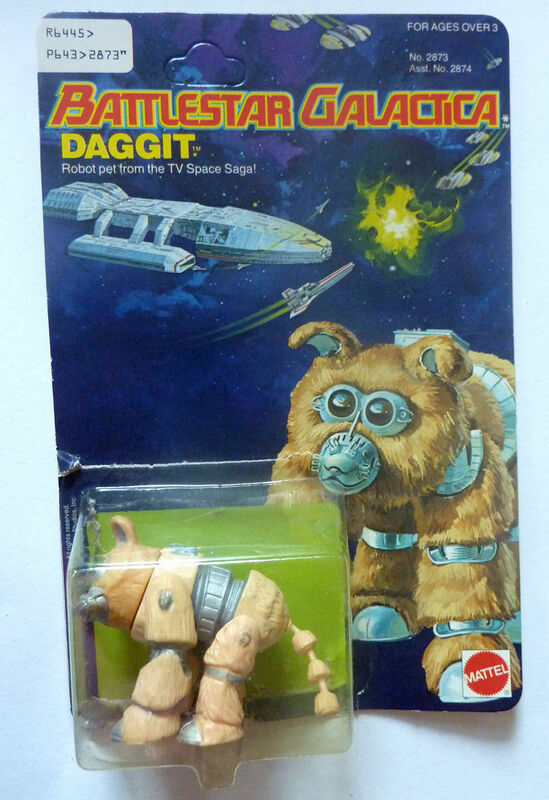 The Stellar Probe, like the Scarab, had nothing to do with the show and consisted of the command module, main body, wing unit, tail, thrusters, adapter, nose cone, and lift-off assembly. 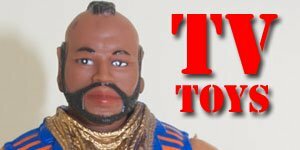 The nice part with this figure is that by interchanging the parts you could make up to eight different vehicles. 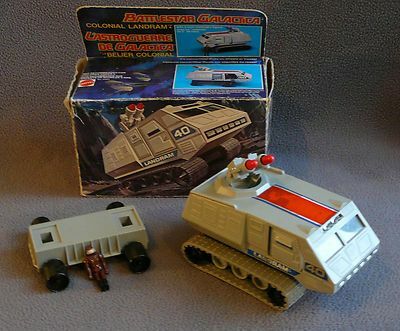 As with the Scarab there are two variations of this vehicle available, a grey version with firing missiles and a non firing version. 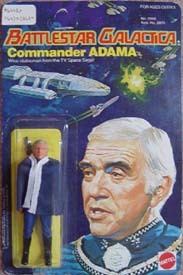 Artwork on the box also contained a picture of an early prototype Colonial figure with white arms and a red body rather than the final all red version which was released. 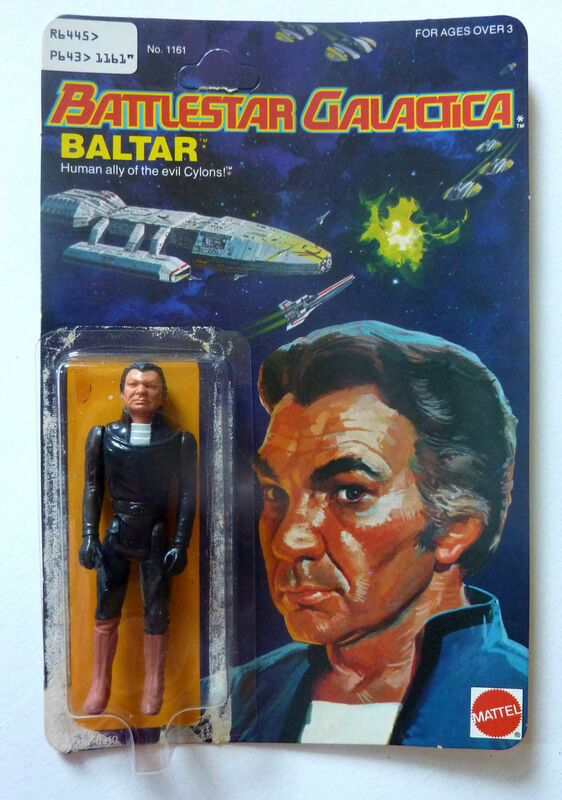 The Colonial Landram is probably the hardest Battlestar Galactica toy to find, with the exception of the Battlestar Galactica itself, of course. 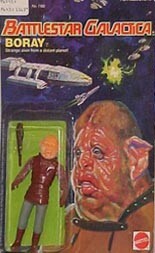 The Colonial Landram was released in 1979 and was the last of the Mattel ships to be released and then only in Canada. 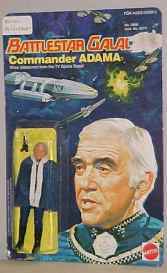 It was was built to the same scale as the other ships and, as with the others, was available in both a non missile firing and a missile firing version. 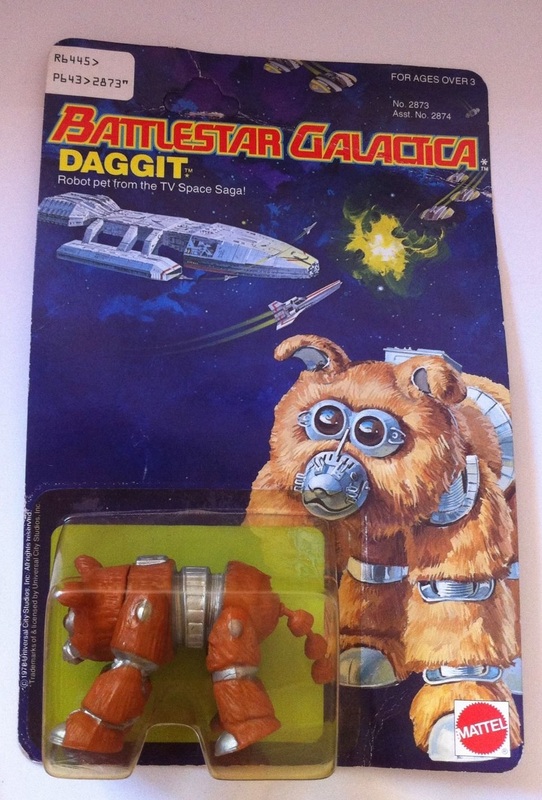 There were two types of wheels available for the Landram, caterpillar tracks and plain wheels, in the same style as the Scarab, it also came with two small warrior figures that sat inside the cockpit. 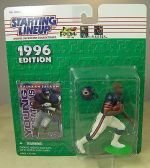 One of these sold on Ebay for $2,025.00 in 2006. 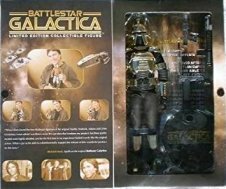 Then we have the Holy Grail of Battlestar Galactica collectibles, the one that everyone wants, The Battlestar Galactica Command Ship (see below). 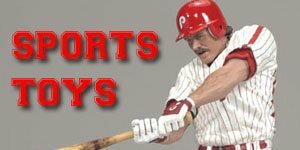 This “ship” was to feature electronic sounds, launching vipers and was a massive 22 inches in length! 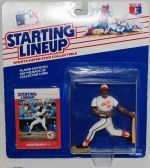 It was, however, never released as it was deemed to be too expensive to produce and sell and hence why you will probably never see one for sale. 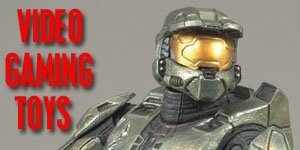 However, at least one prototype DOES exist and sold on Ebay for $5,100.00 in 2006.